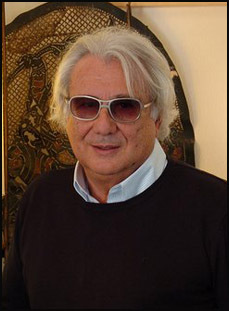 Ovidio Assonitis is a prolific producer and director who created such horror delights as the infamous Beyond the Door (1974) and the all-star underwater terror flick Tentacles (1977). He also gave us the slasher-giallo hybrid Madhouse (1981), the epic, sci-fi tinged chiller The Visitor (1979), and the early James Cameron effort Pirahna II: The Spawning (1981). A Greek national born in Alexandria, Assonitis crafted a large resume as producer, including Aldo Lado's superb giallo Who Saw Her Die? (1972) and Umberto Lenzi's jungle horror Il paese del sesso selvaggio (1972) among others. Assonitis has also worked outside the genre, producing such fare as Lone Runner (1986), Out of Control (1992) and Sabrina Goes to Rome (1998). He was gracious enough to reminisce with us about some of his career highlights. The Terror Trap: You grew up in Alexandria, Egypt. What was that like? Ovidio Assonitis: It was great. It was a unique, intense childhood. TT: What’s your earliest memory of knowing you wanted to be involved in film? OA: When I was seven or eight years old, I watched a Chinese horror movie. I can’t recall the title. But some of the scenes made me so scared. They made a very strong impression on me. That evening, it became clear to me what would be my future: I wanted to be a horror filmmaker. The following night I decided to test my ability. It was twilight, early evening, and I was in my two-story family home. My mother and grandmother were in the living room, discussing the gory assassination of an Arab which took place a few days before. I looked like a ghost! When they saw me, they screamed in absolute fright. Well, I suppose that was my first introduction to the world of entertainment! TT: That's a great story! Before you became a director, you were a busy producer, correct? TT: You produced many films during the late 1960s and early 1970s. What was that experience like? OA: Many were joint ventures with AIP (American International Pictures). I was a film distributor first in South East Asia, then producer. Those years were full of passion, hope, sometimes naïvete. But generally, they were unforgettable. TT: In 1972, you produced one of our all-time favorite giallos, Who Saw Her Die?, directed by Aldo Lado. It’s such a beautiful and well-acted thriller. What do you recall about it? OA: Acting as producer, my strongest memories of working on that one was learning to become a successful producer. Also, I remember discovering Venice during that one. TT: What made you want to try your hand at directing in 1974 with Beyond the Door (Chi Sei)? OA: I couldn’t find a director! So I had to do it myself. 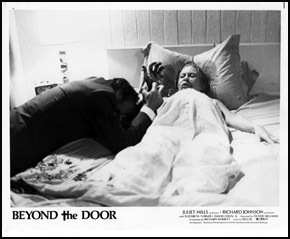 TT: In addition to directing and producing it, you're also credited with the screenplay for Beyond the Door. But the screenwriting process was a difficult one, with several other writers involved as well, is that correct? OA: Yes, that's so. Employing and firing the many writers on Beyond the Door gave me the opportunity to discover the only one who could convince the producer and director: myself. TT: You’ve spoken a bit about the inspiration as being inspired less from The Exorcist and more from Polanski’s Rosemary's Baby. OA: Yes, that’s true. But both were great, evocative movies. OA: Roberto is a close friend. He understood my vision of these various projects. And he loved caviar and Coca-Cola. TT: How did you come to cast Juliet Mills in the lead role? OA: I knew Juliet before the making of the film, and I was aware that she could scare people and myself. That’s what I was looking for. OA: Yes, Richard was a stage actor. It was easy for him, moving from Hamlet to Beyond the Door. Both are horror plays, after all! TT: What was the biggest challenge of shooting Beyond the Door? OA: I’d say targeting 40 million people for a world wide box office film was the biggest challenge. TT: Parts of the picture were shot in Italy (the interiors), and parts were shot in San Francisco (the exteriors). The mix of the two lends a surreal, otherworldly feel to some sequences. Was this mood intentional or accidental? OA: Well, I believe it was necessary to contain the budget so that finances didn’t get out of hand. TT: From the standpoint of director and producer, what’s your personal favorite memory about this film? OA: The producer side of me says, watching people buying tickets at the box office. 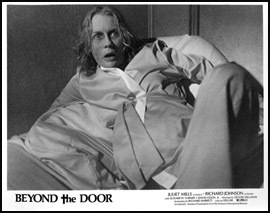 TT: Many horror fans remember Beyond the Door as over-the-top, outrageous fun. Are you pleased with how the film turned out? OA: Pleased enough, I suppose. TT: Were you surprised or shocked when Warner Bros. sued you, accusing Beyond the Door of copying The Exorcist? OA: Not at all. The only surprise came when I got the bill from my lawyers. 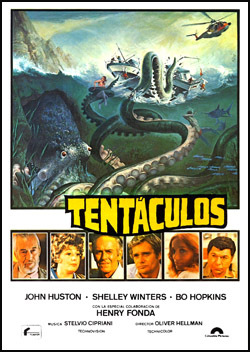 TT: Let’s talk about 1977's Tentacles (Tentacoli). When did you first hear of the screenplay written by Carabatsos and Carpi, and what did you think of it? OA: I thought the screenplay wasn’t convincing. They just wrongly transferred into a script my film vision and intention. TT: With Tentacles, you truly had a “continental” cast! You had such Hollywood legends as John Huston, Henry Fonda and Shelley Winters. OA: Yes, they were legends. But you forgot the giant octopus! TT: We could never forget that. He was the true star of the story. But was it easy getting the actors on board to work on this film? OA: Yes, it was easy. In as much as my money was bankable. TT: Did such incredible acting legends get along on the set, or were there any problems? OA: Some of them could be difficult on the set by day. But they were easygoing enough when they were at the bar at night. TT: Was it difficult shooting the underwater sequences in Tentacles? OA: Not at all. There was absolutely no noise. I had a great feeling of being a baby in a mother’s womb! TT: It was filmed in California: Oceanside, and Pismo Beach. But parts were also filmed in Italy, is that correct? TT: Several children are killed off in Tentacles -- including the baby in the stroller at the beginning of the film. Steven Spielberg had killed a young boy in the original Jaws, but for the most part, “killing a child” onscreen was still a bit of a taboo in mainstream Hollywood during those days. Did you have any hesitation about showing young children being killed by the giant octopus? And of course, you don’t see the baby being killed. You see just the baby blocked by a bus and then it disappears. Maybe the baby took the bus. TT: Okay, we've never thought about it that way! As with Tentacles, you were able to hire an amazing cast for The Visitor (Stridulum) in 1979. You got John Huston and Shelley Winters (again), and Sam Peckinpah, and Glenn Ford, and Mel Ferrer - and even Franco Nero in a cameo. How did you get such legends signed on for this one? OA: Frankly, they were out of work and anxious to work with me. TT: In terms of the plot of The Visitor, what was your inspiration? Did you see it as a sort of mix of The Omen meets Close Encounters of the Third Kind? OA: Well, that's an apt description. You read my mind! TT: Let’s move on to And When She Was Bad (1981), more commonly known as Madhouse. That one was shot in Savannah, Georgia, which must have been a “culture shock” for your Italian crew. OA: Yes. Especially when they found out that not far from Savannah, Georgia, there is a town named Rome! TT: You hired a first-time director to direct Madhouse. He had previously been a cinematographer. But this didn’t work out, correct? OA: Yes, let’s just say that arrangement wasn’t working for me. TT: Were you at all inspired by any of the teen slashers that were currently in vogue at the time in the United States, such as Friday the 13th, Silent Scream, etc? OA: No, not necessarily. Generally, I don’t like watching horror movies made by others. TT: What was your inspiration for the climactic “birthday scene” in Madhouse? OA: The inspiration didn't come from any other films. My first accomplishment as a “director” when I was a very little child, was similar to the birthday sequence in Madhouse. TT: Do you have a favorite moment in this film? OA: In Madhouse? Well, I’d probably say the last scene. That birthday scene is pretty good. TT: You produced Pirahna II: The Spawning (1981) directed by a young James Cameron. What was that experience like? OA: Oh, you’ll have to wait for my autobiography on that. I’ll write it when Jim passes away. But did you have any clue that he would go on to such a mega successful career in directing and producing? OA: No doubt about it. He knows that in Hollywood, spending other people's unlimited quantity of money gets you some results. TT: From the films you’ve directed and produced, it’s clear you have a heartfelt love of the horror genre. OA: Oh yes, I do love the horror genre. Very much. TT: Is there anything you’d like to say to your fans? OA: My message to fans? Dear fans, send me one dollar bill each: by counting them, I will know how many fans I have! TT: Thank you very much for your time, Ovidio. OA: It's been my pleasure.